An Azure Damselfly rests on a twig near a pond at Little Merganser Lake in Danbury, Conn., summer 2016. The other day I posted a few photos of an Azure Damselfly. Well, here are those photos cropped a little tighter. 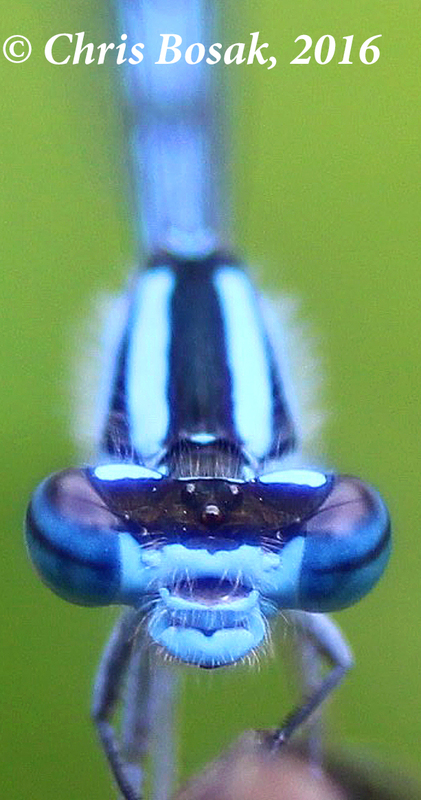 This entry was posted in Dragonflies and tagged Azure Damselfly, black and blue damselfly, black and blue dragonfly, Damselfly by Chris Bosak. Bookmark the permalink.